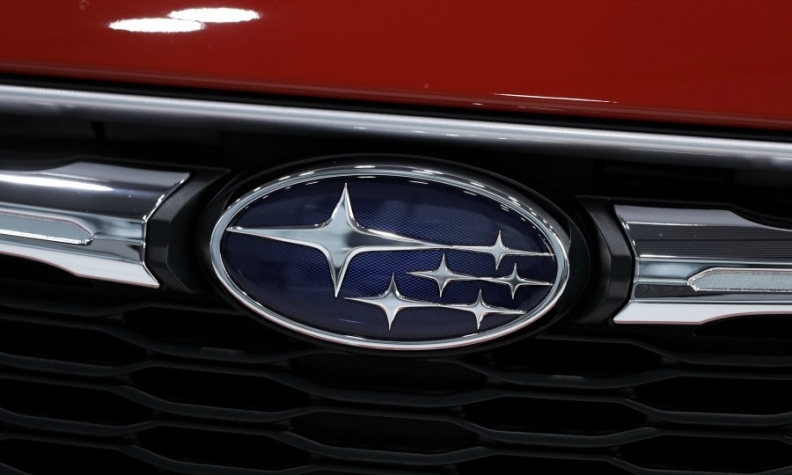 TOKYO – Subaru tumbled into the red in the latest quarter amid spiraling costs for a series of recalls in Japan and other issues stemming from an ongoing spate of faulty vehicle inspections. The automaker reported an operating loss of 2.5 billion yen ($22.0 million) in the fiscal second quarter ended Sept. 30, the company said on Monday in its quarterly earnings report. That erased an operating profit of 92.8 billion yen ($816.3 million) in the same quarter a year earlier. Subaru warned of the downturn. In late October, the automaker halved its operating profit forecast for the fiscal first half, citing higher quality-related costs related to inspection problems. Subaru's quality woes stretch back to October 2017, when the company disclosed that uncertified workers had for decades carried out tests of new cars for the domestic market. The scandal deepened this year, when Subaru admitted final inspectors at the company's Japanese plants had also faked fuel economy and emissions data in some cases. Those problems led to reprimands from the country's transportation ministry and the recall of about 430,000 vehicles in Japan, including the Toyota 86 sporty coupe manufactured by Subaru. But on Monday, while announcing earnings, Subaru President Tomomi Nakamura said the faulty inspections went on longer than originally determined. The problem actually extended to vehicles assembled as recently as last month. As a result, Subaru said it would recall an additional 100,000 vehicles for re-inspection. That brings the total number of vehicles recalled for improper inspection to 530,000 units. The faulty inspections did not affect export models. But Subaru has said it needs to "reform its corporate culture from the ground up" to restore lost trust. Nakamura said this should mark the end of its inspection problems. Subaru will book a special charge of 6.5 billion yen ($57.2 million) in the current fiscal year for the inspection problems. And additional quality-related expenses are on the horizon. Just this month, Subaru initiated a separate global recall of 411,000 vehicles to fix a value spring problem that can cause engines to stall. That call back reportedly affects vehicles made between January 2012 and October 2013, including the Impreza, Crosstrek and BRZ sporty coupe. The recall also covers some Toyota 86 vehicles. Subaru said the valve spring recalls would cost 55 billion yen ($483.8 million). Subaru said fixing the valve spring requires the engine to be removed from cars. The repair work can take up to 13 hours per vehicle, the Nikkan Jidosha newspaper reported. The most financial recent results were also hit by higher fixed costs, increased incentives and falling sales, Corporate Executive Vice President Toshiaki Okada said while announcing earnings. Unfavorable foreign exchange rates also undercut earnings. Subaru is also being pressured by intensifying competition in the company's mainstay crossover segment as other brands rush into the red-hot arena with rival offerings. In North America, Subaru's biggest and most important market, regional operating profit increased 4.4 percent to 21.5 billion yen ($189.1 million) in the quarter ended Sept. 30. The increase came even as Subaru's U.S. wholesale volume declined 4.3 percent to 152,400 vehicles in the July-September period. Subaru has been dialing back wholesale shipments, which are the basis of parent company profits, partly as it ramps up production of new products. Subaru's retail sales in the U.S. actually increased in the July-September period, and the brand is still forecasting its 10th straight year of record retail sales in the U.S.
Wholesale volume in Canada increased 5.2 percent to 16,100 units. European wholesale shipments slid 44 percent to 5,300 vehicles in the quarter. In calendar year 2017, Subaru's U.S. car sales marched ahead 8.5 percent. But more profitable light trucks notched only a 4.2 percent increase. Subaru has partly corrected course this year. Its light truck volume expanded 11 percent through October, but cars were down 12 percent. Subaru cut its earnings outlook for the current fiscal year ending March 31, 2019. It now expects operating profit to plunge 42 percent to 220 billion yen ($1.94 billion), a sharper drop that its earlier forecast. Net income is seen falling 24 percent to 167 billion yen ($1.47 billion), also a more severe downturn than predicted earlier. Subaru expects global wholesale volume to decline 2.4 percent to 1.04 million vehicles. Nakamura, who took office in June, has begun a fresh five-year business plan to boost U.S. market share, stoke a rapid increase in global sales, shore up flagging profitability and invest more in next-generation technologies. Under the new business blueprint, Nakamura aims to lift global sales 18 percent to 1.3 million vehicles in the fiscal year ending March 31, 2026, from the 1.3 million units it expects had originally expected to sell in the current fiscal year. In North America, the all-wheel-drive niche player had targeted a 20 percent sales increase to 920,000 vehicles. Subaru wants to lift its U.S. market share to 5 percent through strengthening the retail network and increasing penetration in sunbelt states where it has traditionally been weaker. Through October, Subaru's U.S. market share stood at 3.9 percent.